Fall is one of my favorite times of the year. It’s not only due to the changing autumn leaves. Much less romantic, I particularly enjoy this time of the year as it offers a chance for our team to regroup after the madness of the conference season summer months. With so many new events popping up, it can be hard to choose which conferences to attend. While it would be great to go to every event, this would be extremely expensive, time consuming and — from my personal experience — exhausting. As such, most CEOs assess events based on the ROI they can receive from attending. ROI can come from meeting potential partners or customers. It can come from wisdom learned from speakers and workshops, or from finding out about new tech or tools to help your business. Or it could come from increased visibility through networking and speaking to journalists in attendance. One of the best way to meet reporters in person is to attend events that are hosted by media companies. The reason is, a company’s journalists and team members are often asked to attend these events. 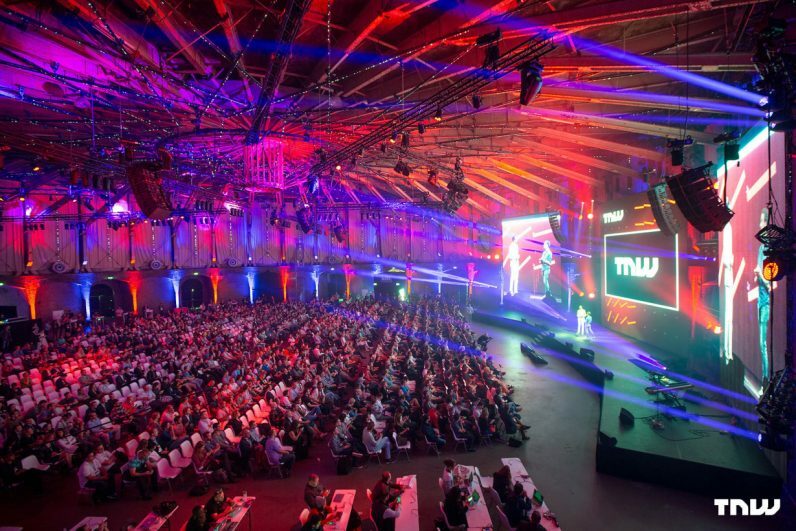 Many years ago I remember attending The Next Web’s conference in Amsterdam, which I highly recommend, and being able to meet many members of their editorial staff. Media publications in many cases host larger, flagship conferences, however they also at times host smaller events, and these are often free to attend. As an example, the technology publication VentureBeat earlier hosted events throughout the country. Choosing between options for conferences, even those founded by media publications, is difficult though. In fact it’s so tough that it inspired Startup Sesame, which helps startups pick from the seemingly endless list of events, while also helping conferences attract the crowds they want. As such, the best way to be noticed by journalists is to actually get involved with the events, either as a speaker, by joining a panel or by running a workshop. The fact that you have been offered the stage shows the media that you are an expert in your field and that you have interesting insights to share. Another benefit of being a speaker or contributor to an event is that is gives you more free access to private areas that are not available to normal attendees. Many conferences have special zones where speakers can prepare, or just relax and catch up with some work, and forward thinking conferences like SAAS NORTH offer media rooms where journalists can conduct interviews and get work done. As such, the chances of rubbing shoulders with a journalist who would be interested in covering your story increases dramatically when you are able to spend time in these VIP zones. Time management at busy conferences can be challenging. With so many presentations, workshops and events to attend, it can be hard to decide on how to spend your time. This for me, is why it is so important to have clear aims for each event. For example, if I go to an event with the aim of networking and meeting potential clients, partners or journalists, I make sure to prioritize these activities over the more content focused workshops. In the few years, it’s become easier to manage your time as events have begun rolling out their own native apps. These apps generally have calendar and timetable functions, allow you to set reminders for specific speakers or events, and also have internal community and messaging functions that allow you to see who else is attending and to make connections with them. Aside from helping with timekeeping, these apps are a great alternative to LinkedIn in order to make connections with other attendees, and journalists in the run up to, and during events. While conferences can be exhausting, it is important to save some energy for the social events and after parties. Here you will find many speakers and journalists who finally have the time to chat more freely and to spark up conversation. Whether it be networking or meeting journalists, it is always best to arrive at events prepared. There are likely to be hundreds if not thousands of people in attendance, and leaving it to chance that you will simply bump into the right people is risky. I always try and make a list of the top 5 journalists I want to meet at the conference, and then try to reach out to them before on social media or via email in the run up to a conference. However as I mentioned before, a lot of people have the same idea, so it’s important to build relationships over time. This means finding ways to get noticed so that when you finally send a pitch or email, the person will recognize your name and give you the time of day. Some tactics for doing this are by commenting on articles posted with feedback and opinions, and referring interesting stories, other startups or industry news to journalists which you feel could be useful to them. You shouldn’t only reach out to journalists when you want something from them. When you have built up interactions over time, you should reach out to a specific list of journalists with a clear and concise email, mentioning that you will also be attending or speaking at the event, and that you would love to share information with them. It is important to be respectful of journalist’s time and be conscious of the fact that you are not the only person who wants to speak to them during a busy event. I have found that if you treat people with respect, give more than you take, and show that you are someone with something interesting to talk about by getting involved in the startup community, the connections will come naturally. That said, there is no harm in taking steps to maximize your chances of success.